Tony Ferguson's wife recently filed a case for a restraining order against him recently claiming domestic violence. The police reported that there were domestic disturbances heard in his home since early 2018. 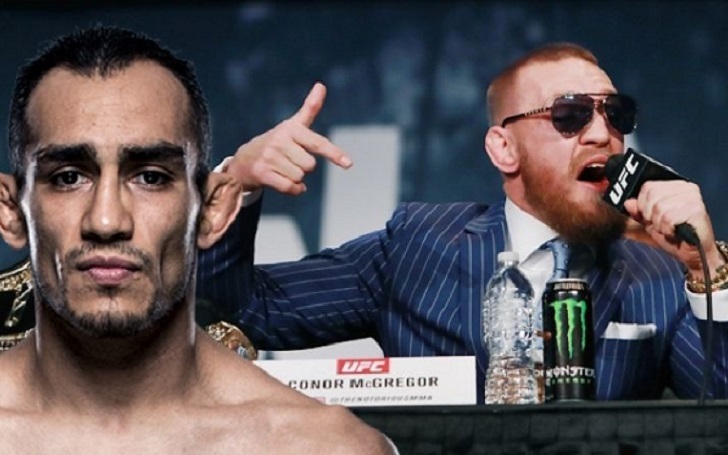 “Tony Ferguson is the type of guy that when all the chips are down, can pick them right back up again and come back stronger than ever!” McGregor wrote. “Came back from a debilitating injury in record time to give us one of the fights of the year! Ferguson has not been arrested nor been charged with any crime. His wife reported the incident and said that Ferguson tore the house thinking someone was in the walls at his home and also thought there was a computer chip in his leg.